Mode of Instruction: Four meetings during spring semester, 2018; 90+ contact hours of field work, site visits, and lectures in Palau approximately 15 - 31 May 2018; One final 5 - 7 page paper due three weeks after field component. This course will introduce students to the complexities of the conservation biology of invertebrates in a small tropical country. 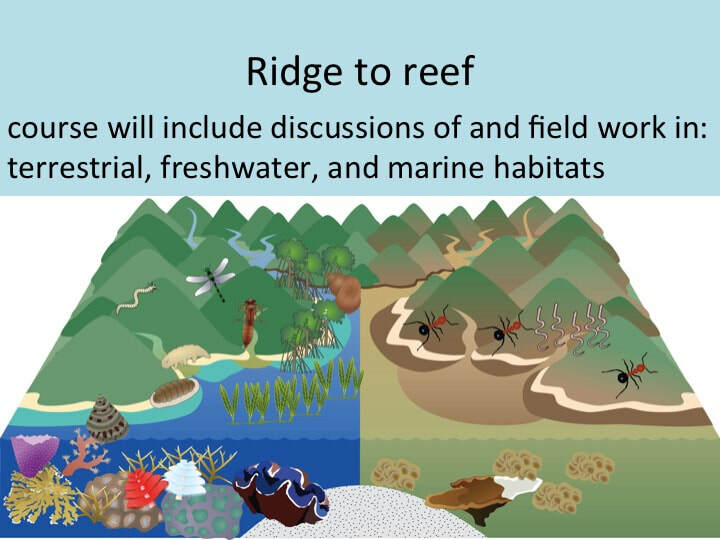 We will emphasize the similarities and differences in doing conservation biology in terrestrial, freshwater, and marine habitats. 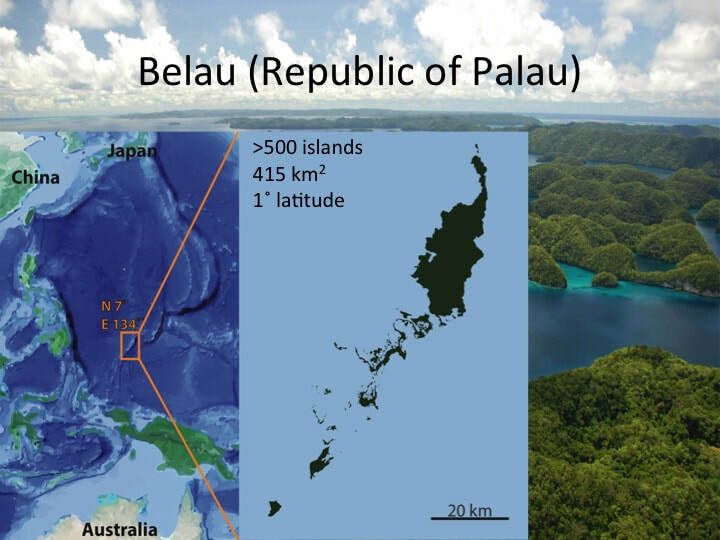 We will review foundational concepts in ecology and evolution as they relate to conservation biology, and will touch upon the interplay of geology, anthropology, geopolitics and economics that have conspired to make the Republic of Palau such an interesting place. 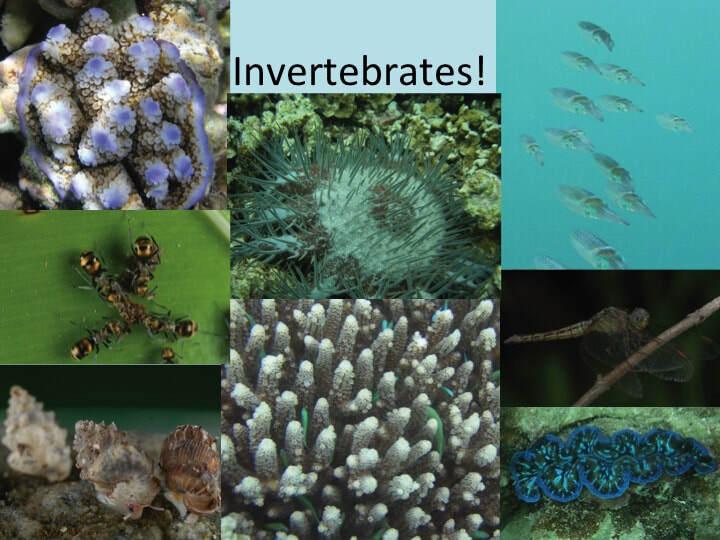 Relevant aspects of the biology of invertebrates will be reviewed. 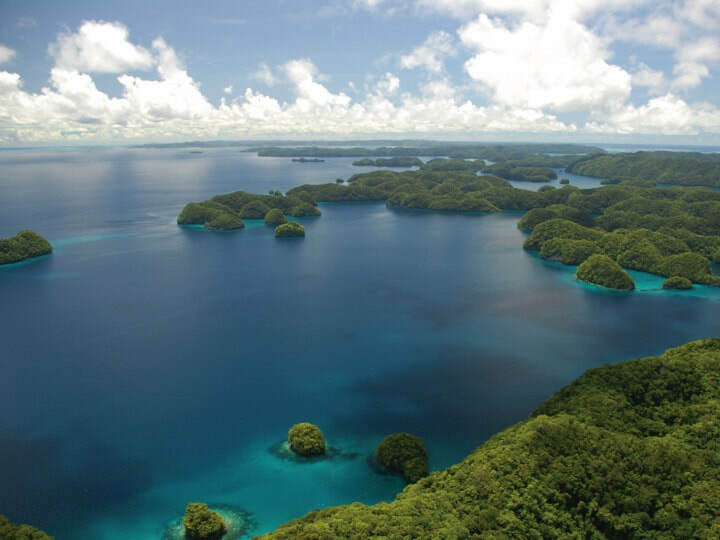 - Inventories of 2 - 3 marine, 2 - 3 terrestrial, and 1 - 2 freshwater habitats will be made available to conservation practitioners and educators in Palau. If (as we hope) the course is repeated on a regular basis, these inventories will combine to give valuable, thorough information about invertebrate abundance and species richness through time that will be made accessible to local NGOs such as the Palau Conservation Society, which are in regular communication with state conservation managers. Please check out these links for some of the organizations we'll be collaborating with in Palau!